is something that comes to mind today. I do not usually review artists I have featured before – as I am repeating myself hugely and it is incredibly hard finding a new angle - but, in a couple of circumstances, I am making exceptions. I will be covering ground I have already explored with Gold Phoenix but there are a couple of new aspects that come to mind. I will chat about relocation and the best place to be for a band like them; gentrification and how it is affecting music industries; a nod to development in a career and how determination and focus keeps them together; an investigation of the current scene and whether there is enough ‘edge’ around – I will start by looking at Rock and what its current state is. This might be something I tackled in the last review of Gold Phoenix but I want to circle back and explore how the genre is faring in today’s industry. We are seeing some great Rock artists emerge but the genre has split and is heading in other directions. If you look at bands like Arctic Monkeys, Shame and IDLES – people I mention a lot – then you have a Rock ambition but there it is not what one might expect. If you think of the riff kings of past generations – Led Zeppelin spring to mind – then there are not many likeminded modern equivalents. So many Rock acts are putting Pop and other genres into their sound in order to accommodate wider demands and accrue some sense of credibility. Maybe it is a shift we are seeing but I wonder whether we have lost that Rock sound and it is left in the past. Certainly, the mainstream is boasting fewer and fewer of these bands right now. I am straining my mind but, apart from a few here and there, there are not as many as you’d like. Guitar music, in general, is finding it hard to get the same footing as other types of music right now. I am writing a piece later that asks whether modern music has lost its edge. More specifically, I will address music T.V. and whether executives are afraid of anything with an ounce of speed, aggression and danger. There is an unpredictability allowing a raw band onto the screen if you are filming live. They could smash up amps and swear; they might jam for a minute and then destroy the stage – or they might go on forever and play whatever they want. There is this perception that Nirvana are still around: a trio who had the balls to rip up the rulebooks and, in the process, create some memorable and shambolic T.V. appearances in their career. Whilst this sounds like a nightmare recipe for British T.V. executives; this is the sort of thing the public wants to see. We look at the modern spread of music T.V., shallow and limited as it is, and we have very few chances to salivate and have our eyes opened. Even if there is a Rock/Punk act playing; their performance is quite neat, controlled and close to what we hear on record. If you hark back to an act like IDLES; their live set has spit, swagger and plenty of carnage. If they tried to bring that to T.V., I wonder how that conversation would go. It is that genuine spirit and authenticity that seems to be lacking on the screens. I put that back into the industry as a whole and wonder whether there is much room for a band that wants to create mischief or, at the very least, stick a couple of fingers up. 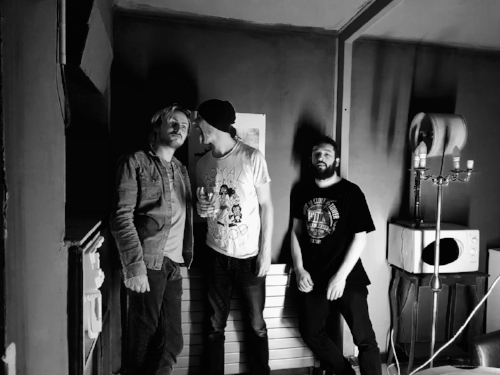 Gold Phoenix aren’t the types to steal a purse from your grandmother and take a leak against the wall of a pub – they are good lads but their music is not to be shackled and honed. 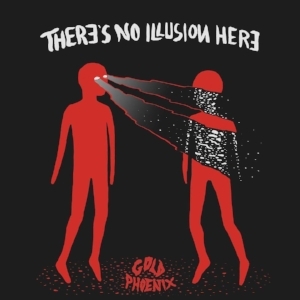 There’s No Illusion Here is an apt title for an E.P. that shows what their ethos is: they are pure and honest in their endeavours; not to mess around with fine tunings and appealing to a Pop demographic. It seems the industry needs a bit of a slap in order to awaken its senses to the potential of Rock and what it represents. Some argue the quality has been sucked from the genre. That may be true of those stadium-aiming artists whose choruses are flabby and trite; their songs calculated and forgettable. There are many artists who are being lumped in with those bands and suffering because of it. For Gold Phoenix; they are not motivated by commercial needs and, instead, follow their own minds and desires. I will come to look at one of their E.P.’s tracks in a minute but, if I can circle back to that issue of sanitisation and a lack of edge – is this creating long-lasting damage to the industry? Time will tell but, from the evidence in front of us, name a slew of great mainstream Rock bands that are changing the game. There are some fantastic Punk acts but, for the most part, they are playing second-fiddle to the bigger Pop artists and other musicians. This may sound doom-laden for the boys of Gold Phoenix but the opposite applies: they are trying to kick-start a revolt and have the chance to occupy some precious landscape. I get to view and listen to some great Rock acts most haven’t heard of and know, before long, they will get their due and succeed. The industry needs to be more ruthless when it comes to commercial Rock acts and those who show little improvement between releases; give credence and attention to acts that change the rules and switch things up. Gold Phoenix have been playing for a few years now and have made strides since their inception. I can see them getting bigger and bolder the more time progresses. It is clear there are doubting tongues regarding Rock’s cardiological state: can it still mix it with the masters of old?! Whilst Led Zeppelin, Jimi Hendrix and The Who have gone and have few like them in music now; that does not mean their like is a product of the past. I am hopeful there will be that explosion and the promising guns like Gold Phoenix will draw blood. Their music warrants serious acclaim and focus. I will talk about their current music in a bit but, right now, a few suggestions for the lads. I am looking around and seeing towns and cities gentrified to the point of destruction. So many good music venues are suffering because, invariably, luxury flats are being erected and no consideration given to the established and popular pubs/venues that have been there for years. I tend to find the middle-class is responsible for this kind of ill. The working-class need somewhere to live but few are able to afford the sort of flats that are being put up. Although I hate where I work, in Surrey, and really can’t stand the people; there are a couple of good music venues that are under threat. I am hearing about high-end flats being planned and, with that, the future of a certain pub is threatened. It doesn’t surprise me the stupidity of planners and the selfish greed of those who move to the area outranks the needs of those who already live in the area. More and more, it seems planners and the better-off are strangling the lifeblood of live music and compromising the stability of great artists. This, again, sounds like I am mordent and unable to cast sunshine the way of Gold Phoenix. Their music, as you’ll see, will get a rather hearty tug in the trouser-area when I arrive there. I am building up a case around their music and painting a picture of what they must be experiencing. Your local boozers and long-standing venues are looking over their shoulders and checking their bank statements by the day. I feel there is that battle between bands/artists people actually want to see and the stuffy and ridiculous sensitivity of the people who move near to venues. The latter is a subject I will tackle later down the line but, here, I want to look at the quality and value of artists. There are many who want to go and see live music but are not being lured by the standard of performance on standard. I want to go and see some live music but I feel there is that shift away from Rock and bigger acts and more acoustic-made sounds. Maybe that fits into noise abatement and trying not to piss off those within listening distance of the music. I feel solo artists and acoustic-led music is getting more prominence than bands and Rock artists. That might come back to quality and few having the ability to grip the senses. Gold Phoenix have terrific fire and ammunition when they take to the stage. Their recorded music is fine and gutsy; when they bring it to the crowds, they are able to add extra oomph and kinetic energy. I am excited to see how far they can go but I do wonder whether the capitalist motives of planners and middle-classes will marginalise them and restrict their gig movements. A solid and explosive band will always find a willing crowd and survive the test of time. When the nuclear bombs destroy everything but cockroaches and Home Counties posh with sticks up their arses; the Rock band that turns the volume up to eleven will be there to smash them away and keep the electricity buzzing. The boys are playing around the Surrey area and, to my mind, that is one of the riskiest places to be a musician. There is a lacking music scene there and facilities like ACM (Academy of Contemporary Music) are not producing the quality and potential they should be – aimed at commercial charts and the Pop-based radio stations. There are a few decent venues who cater to good musicians but, largely, it is boring and middle-classes who have more of a say; the music scene is rather lipid, boring and insignificant. London and Brighton are near enough for Gold Phoenix to strike and succeed. I would say London is their best bet when it comes to getting a footing and finding a crowd. The capital is packed and expensive but the benefits of staying at it are clear. I know the guys are settled where they are but they need to think about their movements and where they can get more gigs. Not only are more venues threatened where they are and the scene becoming more beige and weak – as artists relocate and all that is left is something tepid – but there are fewer people coming out and watching gigs. I am not sure what their financial situation is like but I can see Gold Phoenix succeeding in London and getting much more business there. 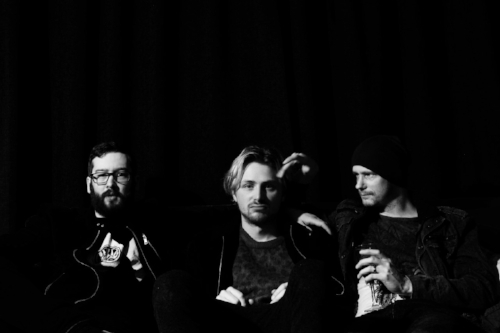 I have seen some great Rock bands fail in the capital – Los and the Deadlines among them – but with some great similar-sounding bands around London, like Duke of Wolves, they would have support and ammunition. There is a demand and hunger that needs to be satisfied and taken advantage of. Maybe that is in the future for the band (relocating and moving on) but I want to see them go from the smaller local gigs and thinking about the bigger stages. 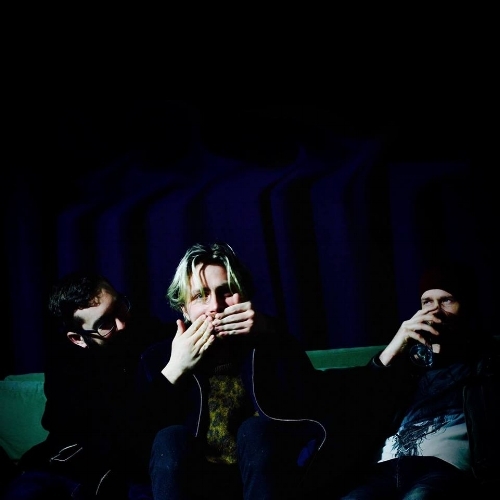 The boys have played in Europe and now, with a new E.P. out, more ears and eyes will come their way. With the biggest festivals a few months away; it is a great time to step out there and get your music in front of the masses. I wonder what the schedule is like for Gold Phoenix but next year is a big one for music. Glastonbury returns – it is a fallow year in 2018 so the greenery can return and give the land a rest – but many acts will vibe from that return and be in the mood. Gold Phoenix make terrific music and are one of the best acts I have heard in years. We need to embrace those musicians who are doing something different and want to succeed. Let’s go back to the sound of Gold Phoenix and see where they go from here. I am stunned by their E.P., There’s No Illusion Here, and the firecracker that is Black Bullet. I am sure there are bigger venues that want to get the boys on their stage and, with people throwing their weight behind the E.P., it is the time to get out there and take opportunities. I wanted to focus on Black Bullet because it seems to epitomise and distil all the colours and aspects of the Gold Phoenix sound. The to-and-fro nature of the introduction gets the feet tapping and the crowd pumping. The guitar, bass and drum swagger and wind like a hissing viper in search of blood. The muscles flex and the tongue is out and ready to cause a bit of chaos. It is an addictive and scintillating opening that gets the blood boiling and the mind ready. If anything, maybe stripping a bit of the production away and putting the drums higher in the mix would give it an extra punch. The track is great because it has a raw and gusty quality that removes sheen and polish. The guitar gets the mind racing but it the percussion, a little higher up, would give it a bit more kick. That is the only (minor) flaw I can see when it comes to the introduction. What struck me is how the riff gets into the head but does not remind you too heavily of anyone else. You can hear a bit of Queens of the Stone Age’s boulder-sized cool but, for the most part, this is the Gold Phoenix brand taking a step up and hitting new peaks. Some of the earliest material from the band clung quite closely to their idols. Here, there is more unique spirit and confidence in their own minds. They are bold enough to let the introduction stretch and campaign for a while. They are exceptionally intuitive players and have that brotherly connection whereby they elevate one another and nobody steals the limelight. There is a pleasing little bit of early-era Jack White in the vocals from our lead. Jamie Tipson has experience of working solo (as Second Hand Poet) but brings something different to his Gold Phoenix role. There is that whine and pleasing anger in the voice that balances Jack White/Royal Blood but you Tipson annunciates and articulates in a very different way. The man lets it be known there is a black bullet with your name on it – whether he is directing that to an enemy or someone who has displeased him. What separates bands like Gold Phoenix from current acts like Royal Blood is the production and presentation. There is no polish and shiny corners when you listen to Gold Phoenix. It is professional but, at the same time, you feel like this comes live from their bedroom. The song was recorded, like the E.P., in Wales at Rockfield Studios and Leeders Vale Studios with Nick Brine officiating – mastered by Pete Maher. 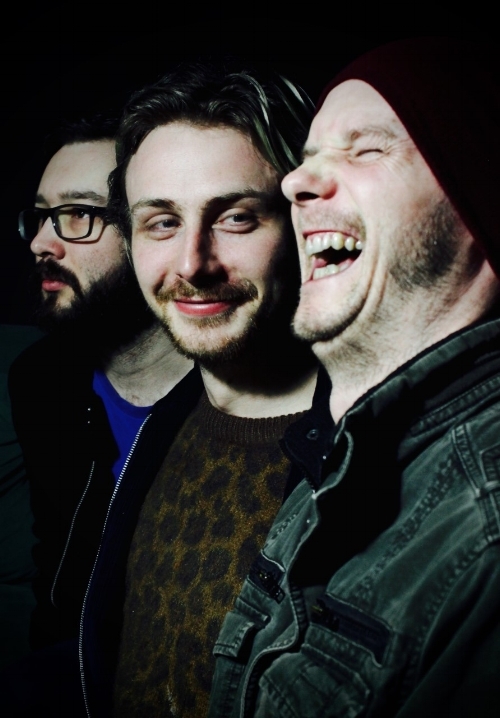 Between them, they have worked alongside Seasick Steve, Jack White and The Rolling Stones. It is hardly a shock the guys should be able to get the best from the band and give the song an expert blend of unpolished and professional. What amazes me is the way the song sounds live but has enough nuance and strength to get you listening again and again. The vocal has a brilliantly conversational and off-kilter manner that stands aside. Tipson delivers one line in a certain way and the next might be a different speed. He didn’t catch the person’s name, who the bullet is aimed at, and he brings mystery and intrigue to the setting. Some of the words are muted and others more refined. It is a characterful and inspiring way to bring the story to life. That central motif, not catching their name and the anonymity of vengeance, is elongated and impassioned in the lungs of the hero. You are trying to guess the song’s origins and who is being ascribed in the moment. The band come together to provide constant energy and physicality. The song is not a simple dead-head that delivers aimless riffs and mind-numbing volume. The band contorts and jumps; the song goes in different directions and it is a thrilling ride. It is amazing seeing how the song grows and builds from that catchy and intense introduction. You can hear little nods to favourites and popular acts but Gold Phoenix never step too closely into their manor. What you get is a skirting around the edges of commercial appeal and stadium Rock but there is that local and modest sound that means originality overtakes and outweighs everything else. It is pleasing seeing tight performances dominate but, in it all, a ruggedness and loose swing. There are not many bands at the moment that take a risk and produce something that has a dirtiness and lack of manners. There is exceptional personnel guiding the dong but they have not made the band compromise their ideals and try and become more ‘popular’. Gold Phoenix have been given room to do what they want and play the song in a way that seems right to them. Because of that, Black Bullet gets into the head and under the skin. The riffs bang their heads and the percussion clatters. There are those moments where the instruments step out and get a chance to cover ground. Our hero’s intoxicating and fired vocals match the volume and stun of the composition and gives the song so much life and lease. I wonder how Black Bullet will sound in the live environment. I can imagine the guys give it some extra welly and spit, for sure. In the final moments of the song, the percussion gets the chance to stand out and roll; the riffs spark and saw; the song steps in another direction and surprises the listener. There is that pleasing mixture of oblique lyrics and straight-ahead sounds that mean you can bond with the song instantly but will come back and try to unpick the words. If, at time, the band strays too closely to the sound of Royal Blood, it is when they throw in their personal D.N.A. things become really interesting. What separates Gold Phoenix from the likes of Royal Blood (or others like them) is their way with words and diverse musical mindset. Black Bullet always moves and never sounds obvious and predictable. I was struck by it’s the first time around but found new glory and possibilities several spins down the line. It is a confident and passionate song from a band that is getting more strident and bold with every new release. They are growing in stature and songwriting ability and have the potential to get bookings on the biggest festival stages before too long. MANY say is lacking right now.